It is such an obvious idea and I wonder why no one (including myself) had thought of it before–a Ferrari “Who’s Who”. Here, in one place, are the biographical details of more than 200 individuals who have made important contributions to Ferrari’s greatness over the years. 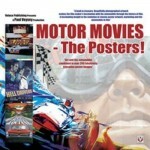 Featured most prominently are the drivers, but the author also includes team managers and the more prominent engineers etc. 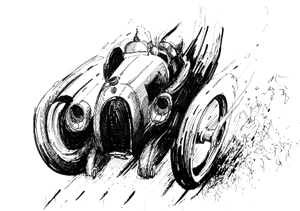 The prewar Ferrari Alfa Romeo teams and designers are included, as are the legends and the not-so-legendary, such as Mario Almondo, John Iley, Julio Pola, to name just three. 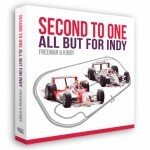 Author Pritchard not only relates the biographies of the various personalities, but he also recounts significant events in their and Ferrari’s history. And he doesn’t pull any punches either; telling it like it is (was), and debunking the odd myth here and there. He doesn’t mind courting the occasional controversy. For example he says “During 1955 Ferrari had taken over the V-8 Lancias and raced these as Ferrari, while trying to modify the design (but only succeeded in making these very competitive cars less potent).” An interesting and controversial comment when one considers that Fangio won the 1956 World Championship in that car. The reader gets the feeling that Pritchard isn’t really a Ferrari fan, but then the observations are all the more relevant because of that. The appendices are particularly interesting and account for nearly a quarter of the pages. The first appendix is a useful “Chronology of the Life and Times of Enzo Ferrari” from his birth in 1898 through to his death in 1988. I thoroughly enjoyed the section by Romolo Tavoni, who was at Ferrari from 1950–1961, first as Enzo’s secretary and then later as Team Manager of the racing team. 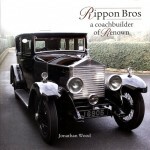 Tavoni provides a fascinating insight into the drivers of his era, and into Enzo Ferrari himself. 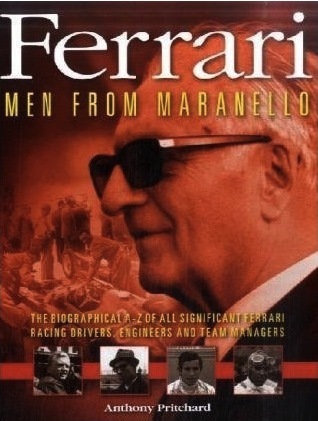 There are other interesting insights such as “The Organization of Ferrari” by Mike Hawthorn, lifted from Autosport 1953, memories of Enzo Ferrari by works driver Gino Munaron, and another appendix about the legendary engineer Mauro Forghieri. Men from Maranello is well illustrated with some previously unseen photos, although the typical Haynes color center section rather spoils it. There are the occasional spelling errors, also a few factual mistakes. For example Ricardo Rodriguez finished 2nd at Le Mans 1960 in a 250 TR, not a 250GT SWB as stated. A caption also refers to “younger son Pedro” when the younger son was actually Ricardo. A little puzzling though is the amount of space allotted to the various characters. I would have thought that Luca di Montezemolo was far more important in the Ferrari story than Wilfredo Ricart, but LdM merits only a half page, whilst Ricart gets three. Very strange. These points aside, this is still a valuable addition to any Ferrari reference collection, and will find much usage by most enthusiasts. 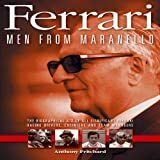 It can be dipped into at any time, and there are some great insights into various people and events in Ferrari history.